The first week of the college football season is a time for excitement all across the country. 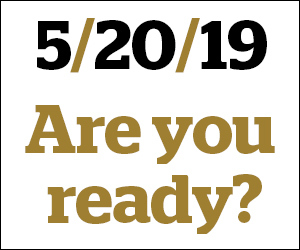 New players are ready to explode into national prominence, hopes are renewed that this year will be “the year” and new storylines are ready to unfold right before our eyes. However, for Wake Forest fans, last Thursday’s season opener felt a bit nostalgic. The reason? A QB wearing No. 10 is once again leading the Demon Deacons. Heading into the season Sam Hartman, a true freshman QB, was not expected by many to be named Wake Forest’s starter. Not so long ago, during Wake Forest’s preseason Spring Game, Hartman was only the third-stringer behind redshirt junior Kendall Hinton and redshirt sophomore Jamie Newman. After Hinton got a three-game suspension to start the season, Hartman beat out Newman to start for the Deacs in a hostile environment against the Tulane Green Wave. This is only the second time in the program’s history that a true freshman QB started a football game. The last time it happened was when Belk Bowl MVP John Wolford, who also wore No. 10, did it in 2014. Simply put, head coaches do not usually start true freshman QBs, especially at Wake Forest, due to inexperience leading the offense, lack of familiarity with the playbook and the much faster pace of the college game. All of this can overwhelm even the most touted recruit. 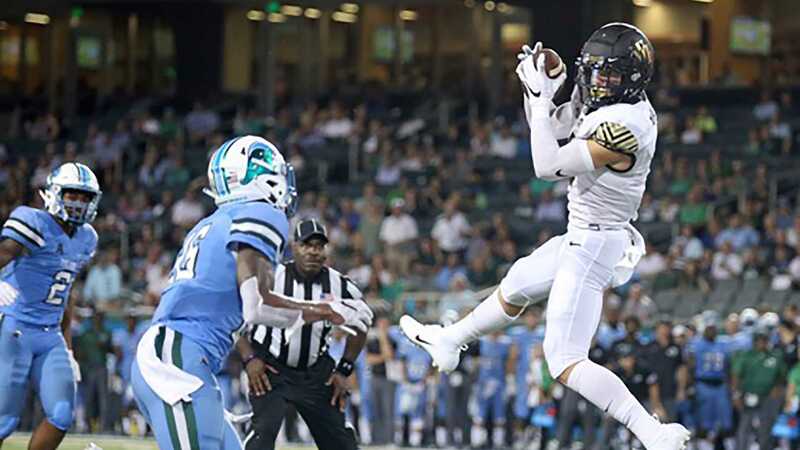 The first few drives Thursday night against Tulane showed an inconsistent Wake Forest offense with spurts of big plays that did not necessarily translate into points on the scoreboard. After Hartman was intercepted on a miscommunication play with sophomore Greg Dortch in the second quarter, it sure seemed like the moment for an inexperienced QB to feel the pressure and the weight of his own mistake. Yet, the following possession Hartman led a perfect drive that culminated in a TD throw to senior Alex Bachman running a Slant route up the middle. Deacs were up 7-0 going into halftime. During the second half, Hartman came back firing on all cylinders. He looked especially in sync with redshirt freshman WR Sage Surratt and redshirt sophomore WR Greg Dortch. Both exploded for more than 100 yards per game. Surratt finished the game with 11 receptions for 150 yards and was elected as the ACC Rookie of the Week. Dortch finished with 12 receptions for 149 yards. Deacs were up by three heading into the fourth quarter. Hartman looked unfazed by all the talk and stigma that surrounded his start as a true freshman QB. He was calm and collected, as he found Bachman once again for another TD score. Deacs were up by three in the fourth quarter. “It would take a tank running over [Sam] full speed to get him to turn around and even get flustered,” said Mark Hartman, Sam’s father, in an interview to the Winston-Salem Journal. Mark might be right after all; during a third and nine from their own six-yard line, the Demon Deacons looked like they were about to punt as the pocket collapsed on Hartman. He rolled to his right inside Wake Forest’s own end zone while keeping his eyes downfield. He showed no hesitation and no signs of fear, even in the face of a 290-pound defensive lineman ready to sack him. Hartman kept rolling until he found Dortch minimally open while receiving double coverage. Hartman threw on the run from inside his own end zone a perfect ball that arched just high enough to go above the defender’s hands and drop softly on Dortch’s arms for a 39-yard gain and a much needed first down. Seemed like a cherry on top of a brilliant debut for him. However, at the end of the drive, the Deacs found themselves in the red zone with the opportunity to increase their three-point lead and be one step closer to their first win of the season. Yet, on a first and 10, instead of accepting the sack, Hartman tried to shovel pass the ball to one of his teammates, but the ball went straight to the hands of LB Lawrence Graham for an interception. Tulane then drove the ball downfield to score the game-tying FG and send the game to overtime. That play by Hartman earned him a “Don’t ever, ever do that again” by Clawson on the sidelines. Up to his second interception, anyone who watched Hartman play would not have guessed that it was his college football debut. It was almost as if everyone needed a reminder that he was still a freshman playing his first game in college. During OT, the Wake Forest Defense came up big, forcing a three-and-out for Tulane’s first possession. Then, on Wake Forest’s ensuing drive, an offense that struggled the whole game to run the ball suddenly pounded Tulane in seven straight runs culminating in junior Cade Carney’s game-winning TD run. “As well as Sam [Hartman)]played, and at times he played not like a true freshman, there were a handful of plays that were not wise plays,” Clawson said. It was also a costly win for the Deacs, who lost senior Left Tackle Justin Herron and sophomore Cornerback to season-ending knee injuries adding to an already big list of injured after just one week of football. Hartman finished with 378 yards, two touchdowns and a pair of picks while completing 31 of his 51 throws. For as much as glare and comparisons to John Wolford he warranted during the first game, he still has a lot to learn. However, that is what makes this Wake Forest team so exciting to watch. The season just barely started and freshmen like Surratt and Hartman are already making a huge impact, even though they are miles away from a finished product. The potential is definitely there for a special season. The Demon Deacons will turn their attention to a Week 2 matchup against Townson at BB&T Field on Sept. 8, at noon ET.